Jack maintains an active trial practice having most recently tried jury cases involving commercial partnership interests, contracts, fiduciary duties, environmental releases, construction disputes, employment matters and professional negligence. Jack leads the firm's Litigation section, specializing in complex civil litigation in the petrochemical and construction industries. His areas of emphasis include environmental, commercial litigation, construction and design related disputes and professional liability litigation. 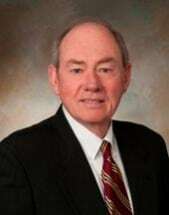 He joined Mills Shirley in 1981 after eight years with the Galveston County District Attorney's Office, where Jack served as First Assistant and tried more than 200 cases ranging from capital murder to securities fraud. He continues an active trial practice focusing on significant and catastrophic injuries, as well as major commercial disputes. Clients often call upon him to lead internal investigations or in responding to accidents or disputes, in anticipation of litigation before it is filed.